Only hours after the release of the Senate health care bill, four conservative senators put out a statement saying they can't support the bill in its current form. As of now, moderates have held their fire, saying they need to finish reading and analyzing the bill. Why this matters: The best way for a member to ensure they get the changes they want is to threaten to withhold their support. Moderates haven't done that yet; conservatives have. That means the bill could very well move to the right over the next few days. The assumption: "Moderates always cave," one senior GOP aide told me. "I don't know if conservatives will cave. That's the pickle." Yes, but: Moderates could get more wins after the Congressional Budget Office releases its analysis of the bill next week, and the leadership sees how much extra money it has to put into things like the opioid crisis and market stabilization. From the joint statement by Sens. Ted Cruz, Mike Lee, Rand Paul and Ron Johnson: "It does not appear this draft as written will accomplish the most important promise that we made to Americans: to repeal Obamacare and lower their healthcare costs." Sen. Susan Collins: "I very much want to see the CBO assessment of the impact on coverage, the impact on insurance premiums and the impact of the changes in Medicaid." Sen. Cory Gardner: "Gotta get through [the bill] and digest it." Sen. Shelley Moore Capito: "When I get a chance to sit down and look at it, hopefully later this afternoon," she'll be looking at the Medicaid provisions and opioid funding in particular. Sen. 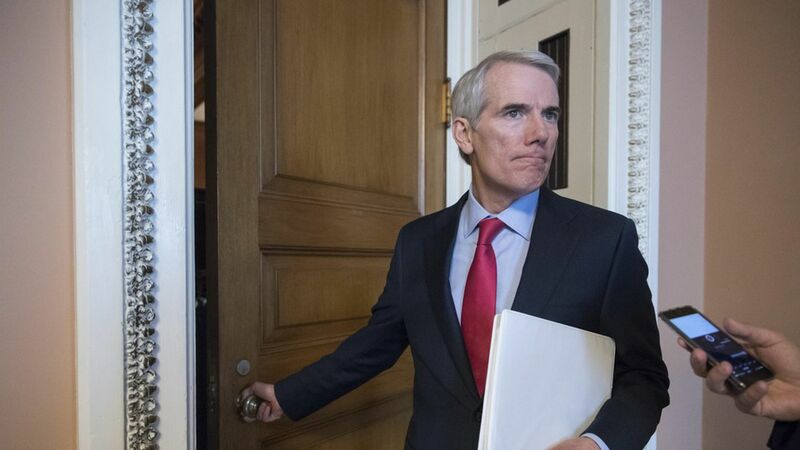 Rob Portman: "I look forward to examining this new proposal carefully and reviewing the analysis by the Congressional Budget Office when it is available. If the final legislation is good for Ohio, I will support it. If not, I will oppose it." Sen. Dean Heller: "As I have consistently stated, if the bill is good for Nevada, I'll vote for it and if it's not – I won't."